whitehouse — May 28, 2010 — Ahead of Memorial Day, the President asks all Americans to join him in remembering and honoring those who have died in service to the country. 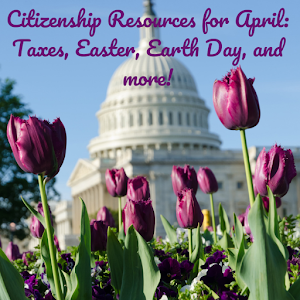 Learn EL Civics with great pictures and easy words about Memorial Day and many other US Holidays, important Americans , and historical event. Ngo Huu Phuc reads "The Vietnam Time Line" essay in honor of Memorial Day. Mr Ngo was a mechanic in the South Vietnam Air Force and was a Citizenship student at Milpitas Adult School. 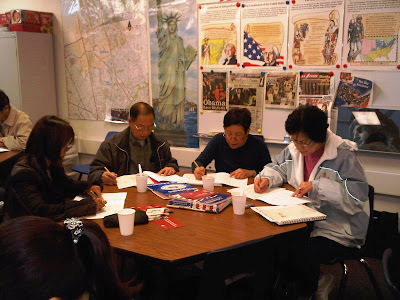 In the Summer 2010, Mr. Ngo became a US Citizen. He is proud of his service to the people of Vietnam and the United States and remembers his friends and family FOREVER! You can find a copy of "The Vietnam Time Line" in HOLIDAYS AND SPECIAL DAYS IN THE USA by Mary Glasgow, Scholastic Inc., 2001, ISBN 1-900702-59-2. Free Download — whitehouse — May 27, 2010 — This week, walk step by step with the President he as signs a memorandum on fuel efficiency; meets with his economic team and Congressional leaders about Wall Street reform; delivers the commencement address at West Point; hosts the leaders of Lebanon and Liberia; plays basketball with Russian students; holds a reception for Asian Americans and Pacific Islanders; celebrates National Small Business Week; holds discussions with Senate Republicans; travels to California and checks out some solar panels in Fremont (next to Milpitas); talks economics with workers; welcomes NCAA Men's Basketball Champs the Duke Blue Devils and the US World Cup Soccer Team; and gives a press conference on the BP oil spill. VOAvideo — May 27, 2010 — The last Monday in May is "Memorial Day" in the United States, a day of remembrance for the country's military war dead. This year's observance comes as the number of casualties in Afghanistan has surpassed one thousand. VOA's Carolyn Presutti explains. and really look forward to taking the 965/966. Students listen to thirty recorded questions. Each question is repeated twice. 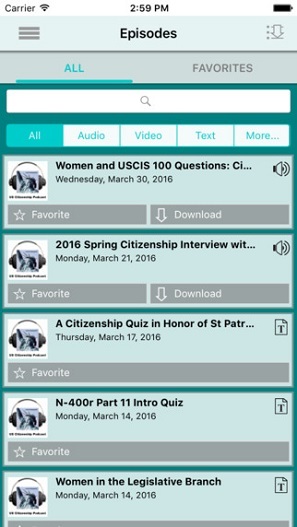 The questions are based on the new 100 questions. 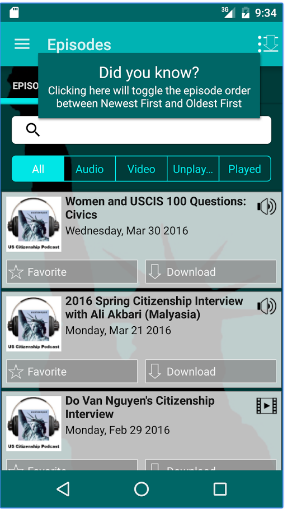 Practice audio files are available. My name is Tuong Nguyen. I am the census enumerator. of public works for 26 years. I am working in my neighborhood. I think I will enjoy and could help America. And also to help my family too. 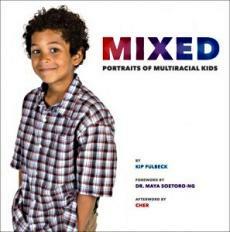 uscensusbureau — May 21, 2010 — "I am working in my neighborhood. 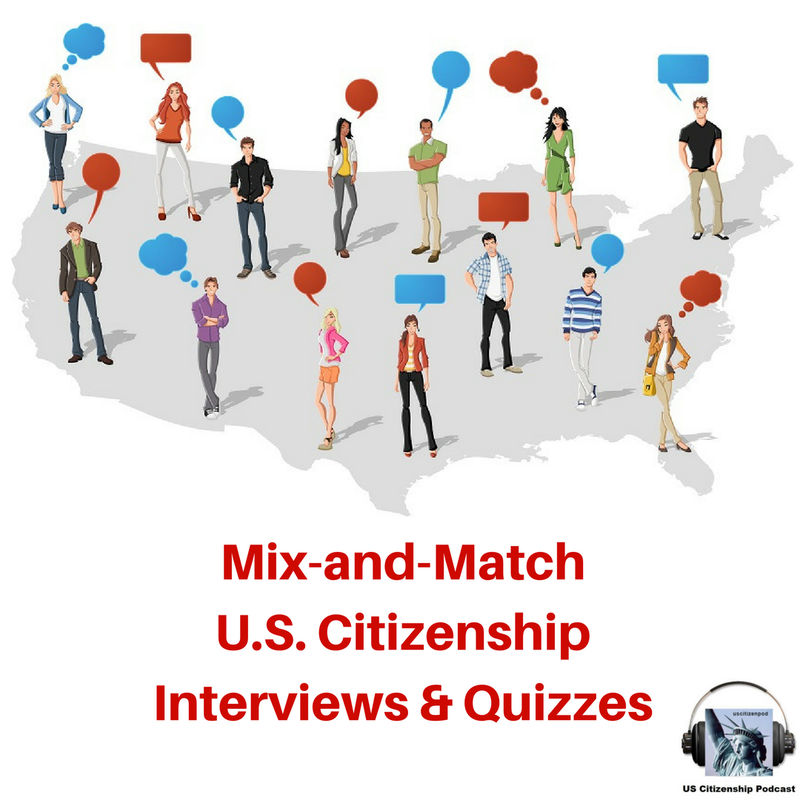 "Census takers are your neighbors, members from your community hired by the Census Bureau to count all households that did not send back their form. Your responses are kept confidential and will take only about ten minutes to answer. 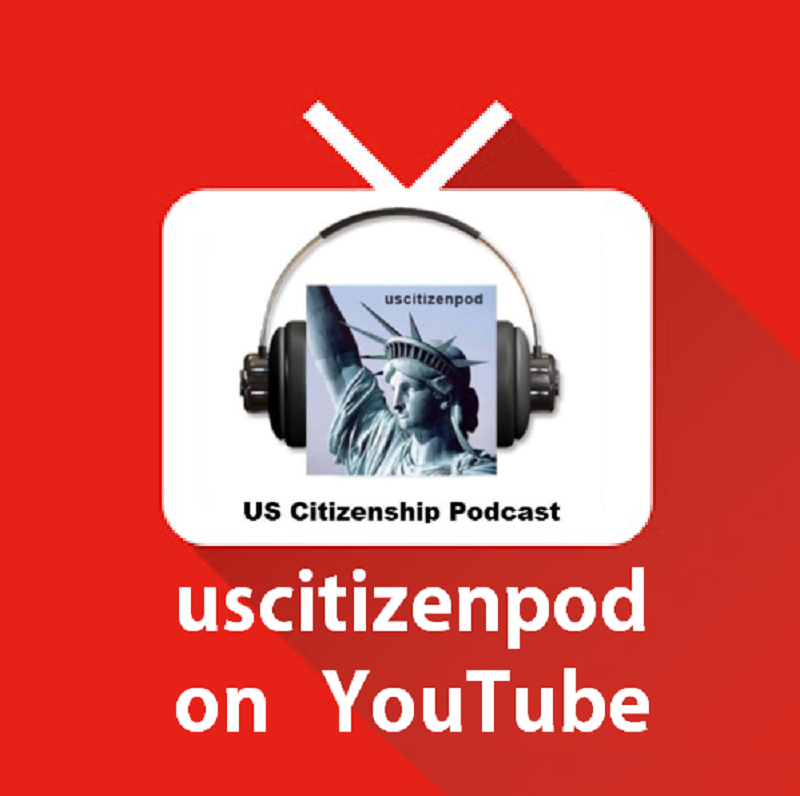 Watch more Meet Your Census Taker videos from uscensusbureau on YouTube. within its jurisdiction the equal protection of the laws. 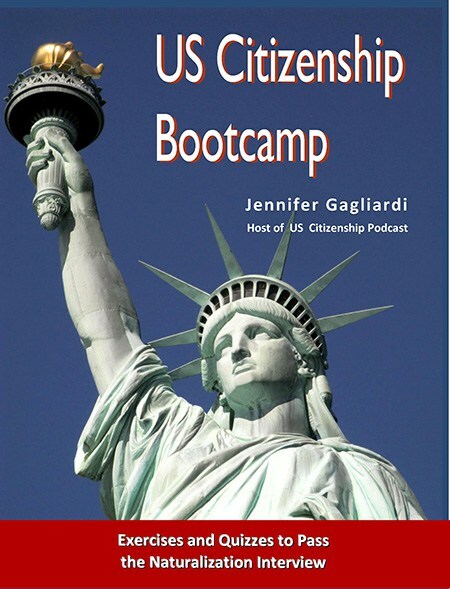 The Constitution says all persons born in the U.S. are American citizens. But some lawmakers say that shouldn't apply to children of parents here illegally. They've introduced bills meant to trigger a legal battle about the issue. A coalition of advocacy groups has filed (Monday, May 17), a lawsuit in Washington in an attempt to block a pend... VOAvideo — May 24, 2010 — A coalition of advocacy groups has filed (Monday, May 17), a lawsuit in Washington in an attempt to block a pending law in the western U.S. border state of Arizona. The Arizona law requires police to question people if there is reason to believe they are in the U.S. illegally. As VOA's Mike O'Sullivan reports, the statute will go into effect this summer, but it has prompted a backlash in neighboring California and other parts of the country. VOAvideo — May 21, 2010 — Mexican President Felipe Calderon is appealing directly to the American people, and their elected leaders, to reform immigration laws and strengthen gun control along the U.S.-Mexican border. 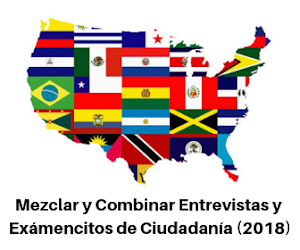 Mr. Calderon made his case Thursday in a speech to a joint meeting of the U.S. Congress. VOA's Paula Wolfson reports. 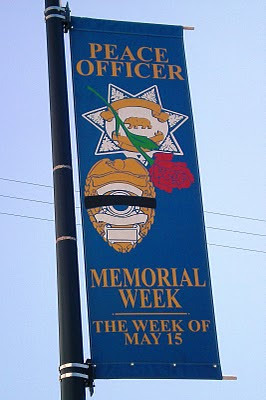 A Peace Office Memorial banner outside of the Modesto, CA Police Dept. 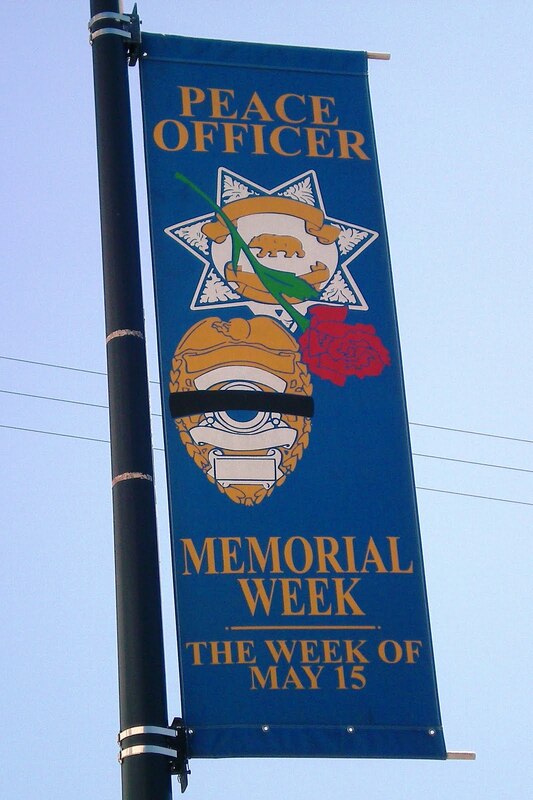 On October 1, 1962, the President designated May 15 of each year as "Peace Officers Memorial Day" and the week in which it falls as "Police Week." There are an estimated 12 million undocumented immigrants in the United States today. These immigrants currently present a quantifiable cost to the U.S., but would granting universal amnesty to the undocumented immigrants be a net economic benefit to the nation? Philip Alexiou has more in this edition of Money In Motion. VOAvideo — May 11, 2010 — Nancy Pelosi has won broad recognition as an effective Speaker of the House of Representatives. But she is also the target of opposition Republicans trying to win back control of the House in this November's congressional elections. VOA Correspondent Cindy Saine reports on how Pelosi rose to become one of the most powerful people in the United States. 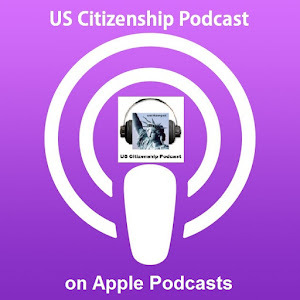 US Citizenship Podcast: Speaker of the House Nancy Pelosi! 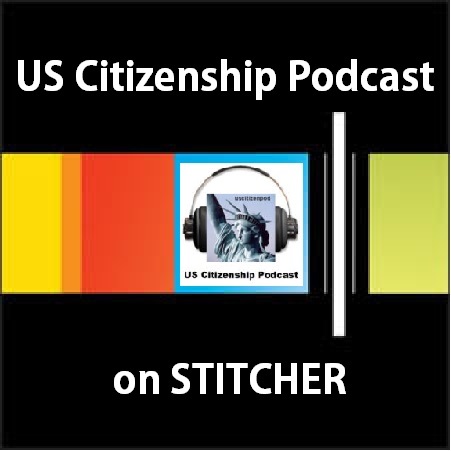 A Basic Citizenship Interview with Martin Maldonado (Peru). 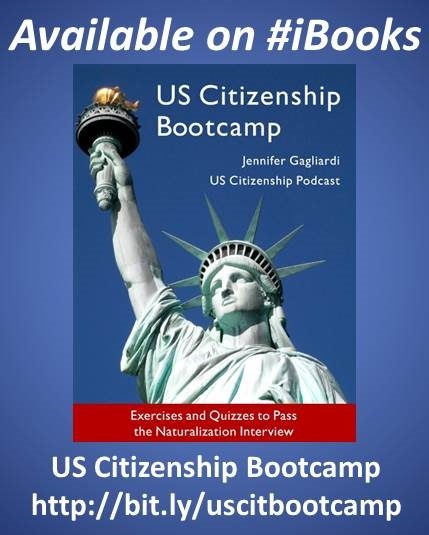 You can follow along with the Basic Interview pdf . Also, you can listen to the original mp3. 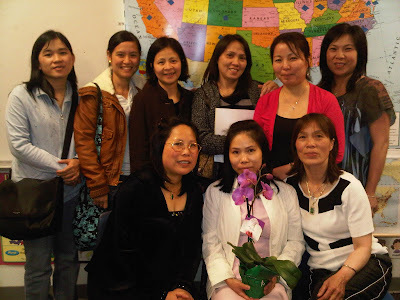 USCIS: WASHINGTON - U.S. 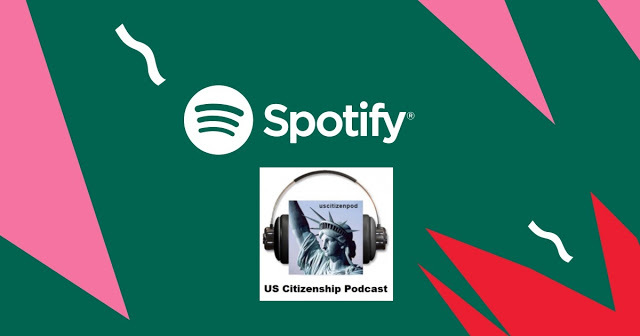 Citizenship and Immigration Services (USCIS) announced today that it has redesigned the Permanent Resident Card - commonly known as the "Green Card" - to incorporate several major new security features. 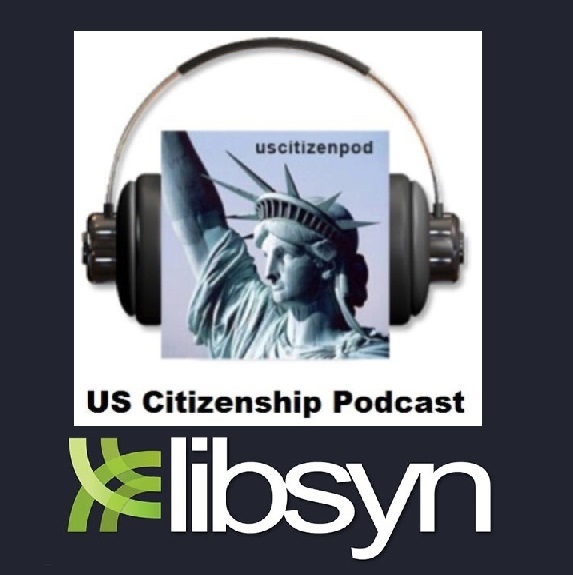 The Green Card redesign is the latest advance in USCIS¿s ongoing efforts to deter immigration fraud. State-of-the-art technology incorporated into the new card prevents counterfeiting, obstructs tampering, and facilitates quick and accurate authentication. 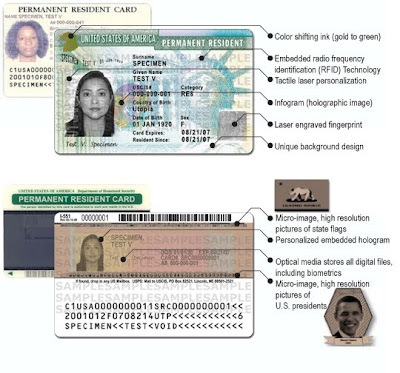 Beginning today, USCIS will issue all Green Cards in the new, more secure format. US Census: How to recognize a census taker? I just showed this video to my US Citizenship class. They really appreciated the info about how to identify the census taker (badge, bag, address book). The students also appreciated the clear explanation about how the census take would contact them (three times in person or by phone and/or by appointment). 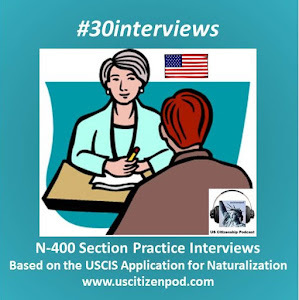 The students were relieved that the census taker will not ask to come into the house, nor ask the person for their social security number, credit history, or for a donation. The students are ever vigilant against identity theft and other "tricks". 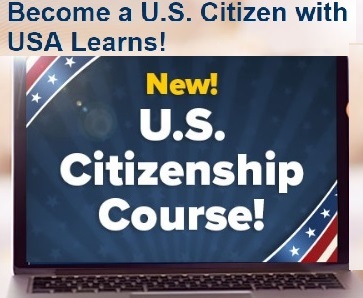 The sub-titles also were a big help for the English language learners. Kudos to the Census Media Dept for all their fine videos! 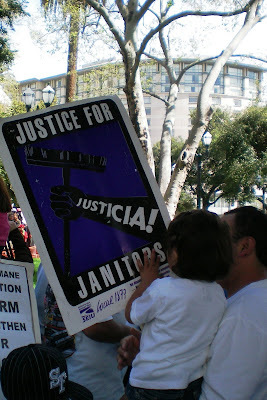 May 1st Immigration March and against Arizona SB1070 from La RH CommunityServices on Vimeo. Or you can see it on YouTube. whitehouse — May 07, 2010 — First Lady Michelle Obama welcomes special guests, including former First Lady Rosalyn Carter, to the White House for a special event for mothers and daughters at the White House. May 7, 2010. Free Download — whitehouse — May 05, 2010 — The President celebrates Cinco de Mayo at a reception at the White House and calls on Congress to implement comprehensive immigration reform. May 5, 2010. 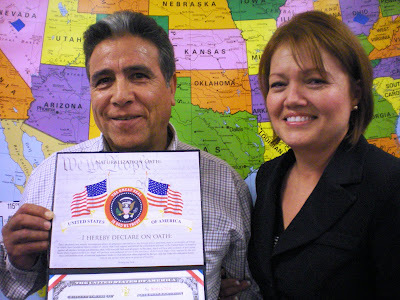 Alfredo Quintana was born in Guadalajara, Mexico and came to the United States in 1972. He settled in Milpitas, and joined Local Union 270 AFL-CIO as a construction worker. Alfredo currently serves as the Executive Board-Field Representative and travels all over Central California, organizing Union members and working on local political campaigns. On March 25, Alfredo became an American citizen. Bravo! 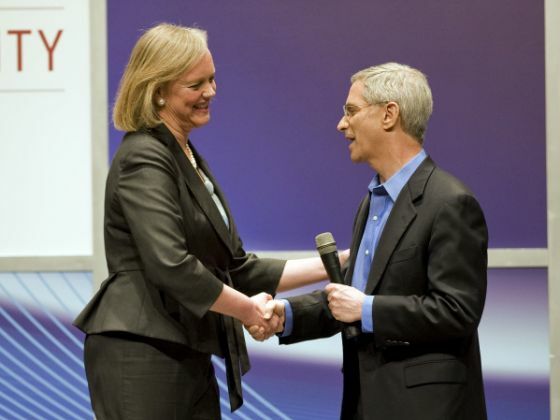 Former eBay executive Meg Whitman. left, and California Insurance Commissioner Steve Poizner shake hands after a previous debate for the California Republican gubernatorial primary. KQED 88.5FM California report presents a debate between the leading Republican candidates for California governor, insurance commissioner Steve Poizner and former eBay executive Meg Whitman. KQED's Sacramento Bureau Chief John Myers moderates the debate, featuring questions to the candidates posed by a panel of reporters from other California news outlets. The debate is taking place at the Tech Museum of San Jose and the sponsors are: Comcast, Silicon Valley Leadership Group, Time Warner, Charter, Cox Cable, Cal Channel, CCTA and the Tech Museum. Are You Already Registered to Vote in California? To find out if you are currently registered to vote, contact your county elections office. If you are not registered to vote, you can ask your county elections office how to register. You are not in prison or on parole for a felony conviction. For more information on the rights of people who have been incarcerated, please see the Secretary of State's Voting Guide for Inmates. VOAvideo — May 02, 2010 — Coast to coast rallies were held in the US Saturday to protest a controversial new immigration law in the southwestern state of Arizona. VOA's Daniela Schrier reports from a protest in Washington, DC. May 1st: March for Comprehensive Immigration Reform! *NEW* Photos from today's SJ march. 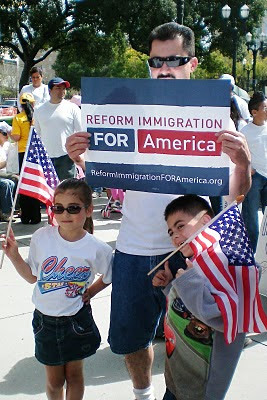 All over America, people will be marching for Comprehensive Immigration Reform. Check out the march in San Jose or check Reform Immigration for America for a march near you!